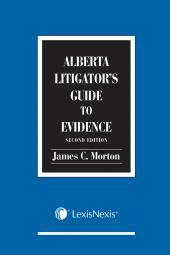 The first Alberta practice guide to use court procedural rules effectively and strategically to strengthen a party's position in a law suit, and increase the efficiency of litigation, this work will be invaluable for both novice and experienced litigators. 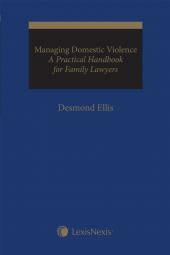 A procedural guide to litigation, from pre-commencement to appeals, this book offers tactical and strategic suggestions as to how to advance a case, lists of questioning (discovery) topics of enquiries and factors to consider in various situations, such as suitability for certain types of trial, while adhering to civil procedure rules. Significantly revised commentary on the test for summary judgment applications with discussion of Alberta cases Stefanyk v Sobeys Capital Inc. and Rotzang v CIBC World Markets Inc.
Why Should Lawyers Buy This Book? Will Cascadden, B.Sc., LL.B., is a member of the Law Society of Alberta, and practices labour and employment law in Calgary and Vancouver. Will is a Partner at Gowling WLG (Canada) LLP and a professor in the Faculty of Law at the University of Calgary. Will has appeared in more than 400 trials, hearings and appeals.